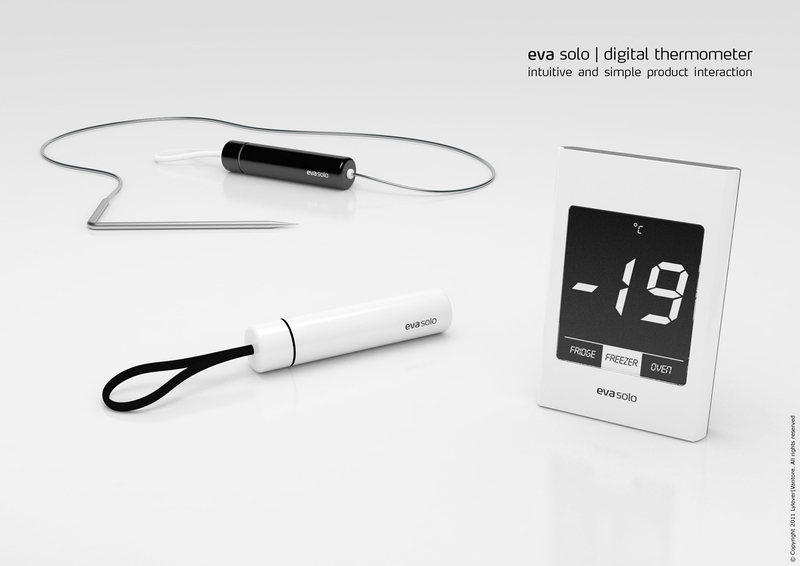 Based on user observations and research on wireless digital cooking thermometers it became clear that most digital thermometers was difficult to operate with too many options, settings and not least too many non-intuitive buttons. Research resulting in this project with the aim: “Let’s make it better, more user friendly and much easier to operate”. 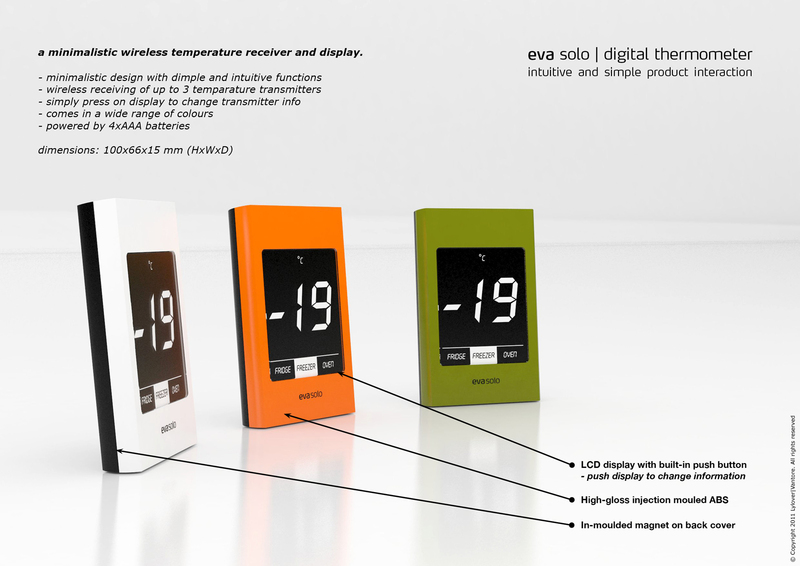 Besides the function as a wireless cooking thermometer, it also includes a function to display and receive the current temperature from wireless transmitters placed in one’s fridge and freezer in order to daily control the temperature and settings for your stored food. 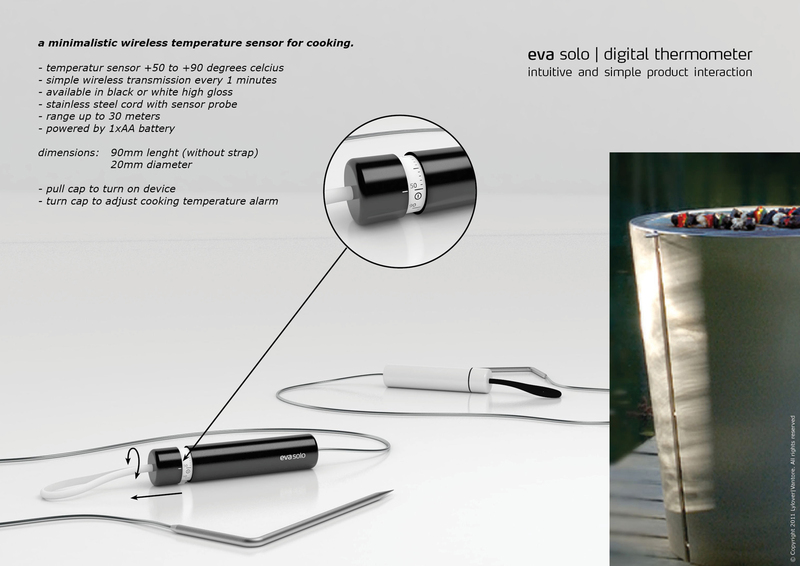 – A wireless cooking transmitter with an analogue settings for the cooking temperature alarm. 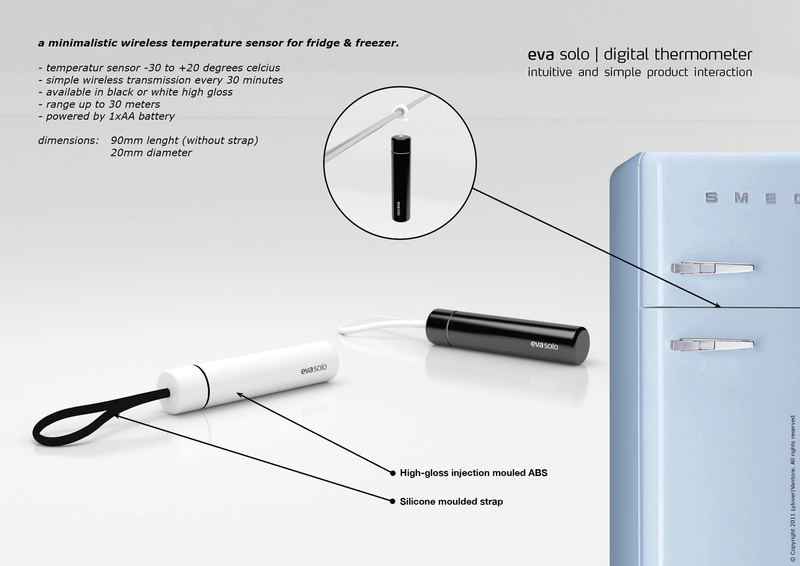 – A wireless and simple temperature transmitter to be placed in the fridge and freezer.